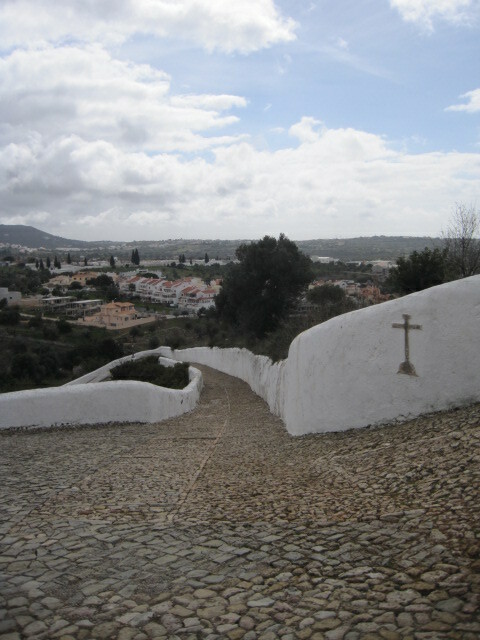 Perched high on a hill, overlooking the Algarve, Nossa Senhora da Piedade at Loulé is one of those places I’d always meant to visit. When I finally did, it had a wonderful surprise in store. 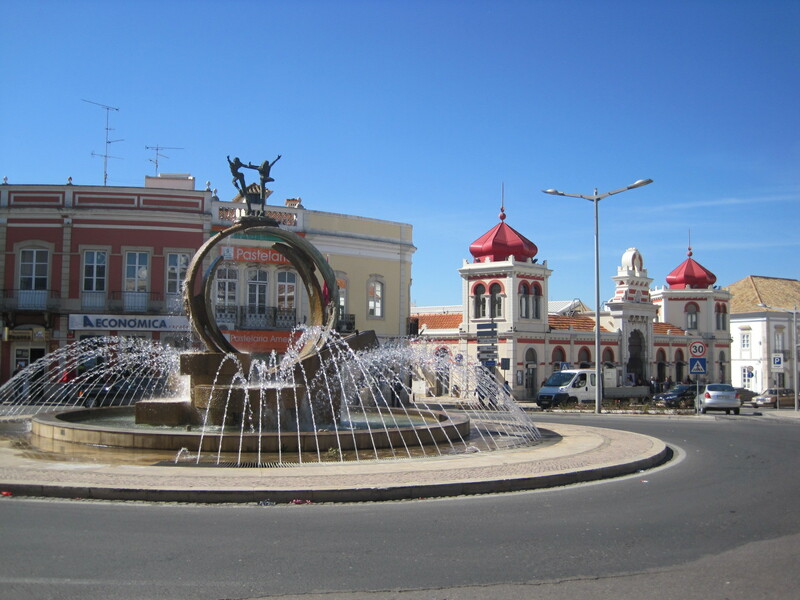 A ‘scramble’ of a market town, Loulé dates back at least till Roman times. We’ll have a wander through the historic centre shortly, but first I want to take you up to the heights with me. 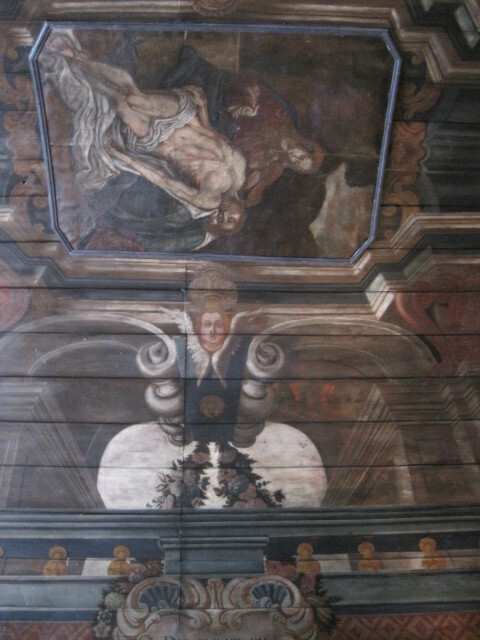 The original Chapel of our Lady of Mercy (Nossa Senhora da Piedade) was built in 1553, but was partially destroyed in the earthquake of 1755. 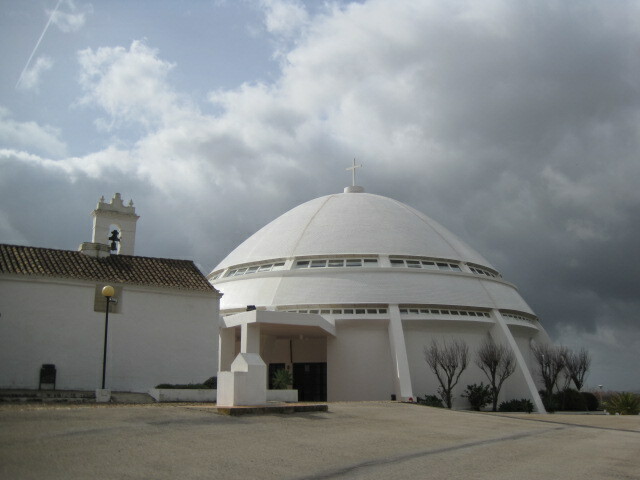 Driving along the A22 motorway past Loulé, the modern dome is clearly visible above the town. I had often wondered how it looked in close up. 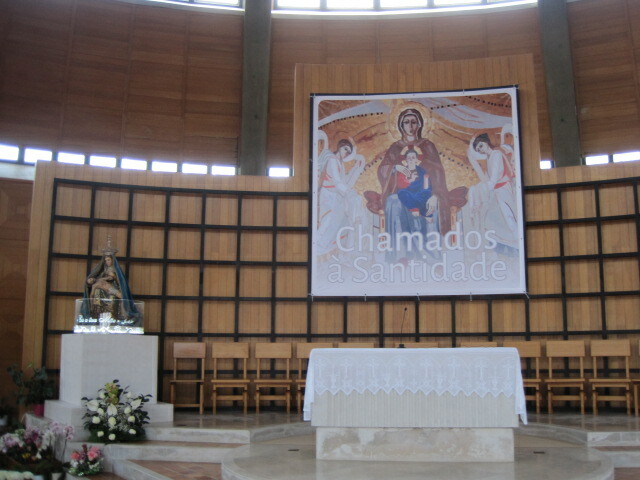 On Easter Sunday a huge celebration begins here, Festa da Mãe Soberana (the feast of the Sovereign Mother). A statue of the patron saint is carried from her resting place, in the Sanctuary, down the hill to the Church of San Francisco, on Festa Pequena. 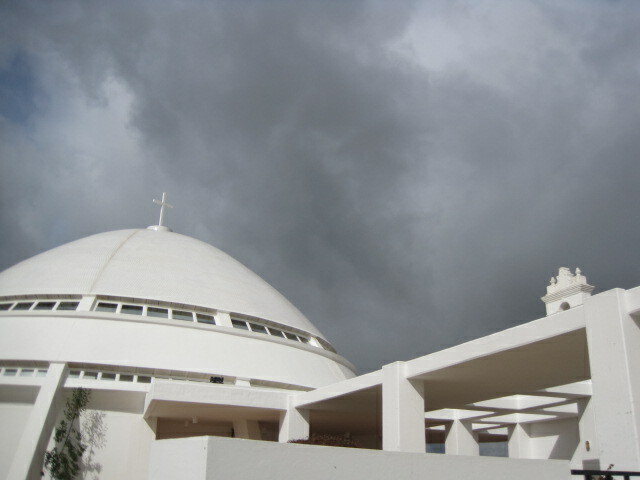 (Small Feast) Two weeks later, on Festa Grande, she is returned to her home on the holy mountain, with full ceremony, prayers and fireworks. I would love to see the spectacle of the procession. For now I have to content myself with a look at Mãe Soberana, quietly waiting. 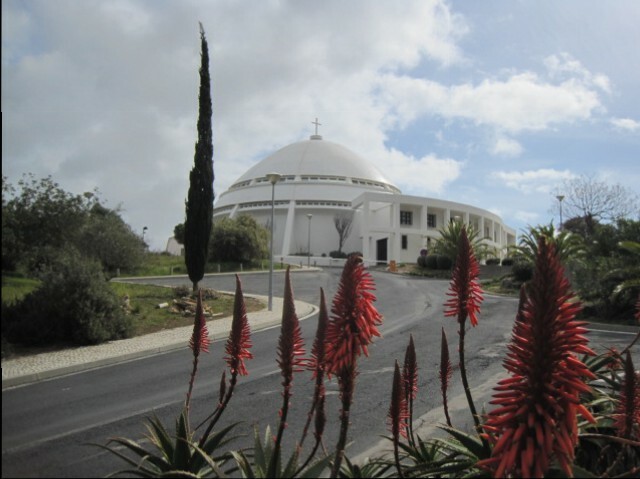 From afar the domed building appears to be the entirety of the church, so I was delighted to find the chapel restoration alongside. Known as the ‘House of Candles’, the tiny space is exquisite. 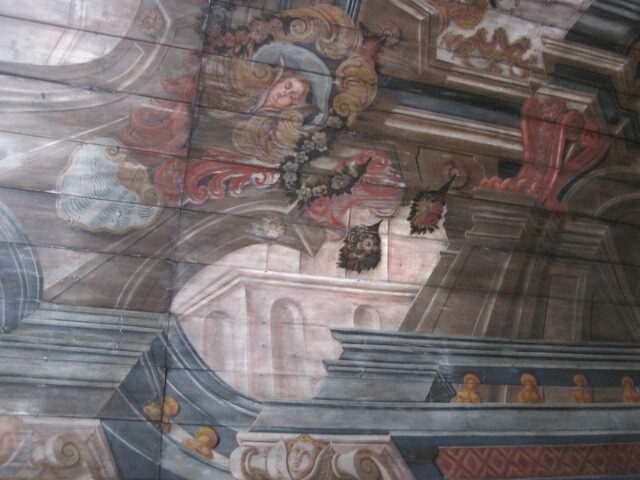 Ceiling paintings dating from 1760 had been damaged by smoke from the candle offerings but were restored when the modern building was constructed. 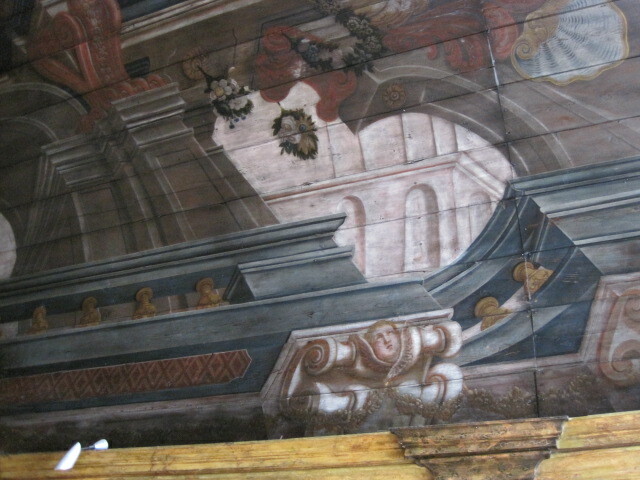 The wall panels depicting the Passion of Christ are from a later date. I love the contrast of old and new. Time to come back down to earth and begin our stroll. I would not recommend climbing the steps to Nossa Senhora. Doing so carrying the saint must be quite an ordeal. Unless it’s Easter, there’s ample parking up there. The streets below are made for strolling. Tile patterns beneath your feet enhance your wander. 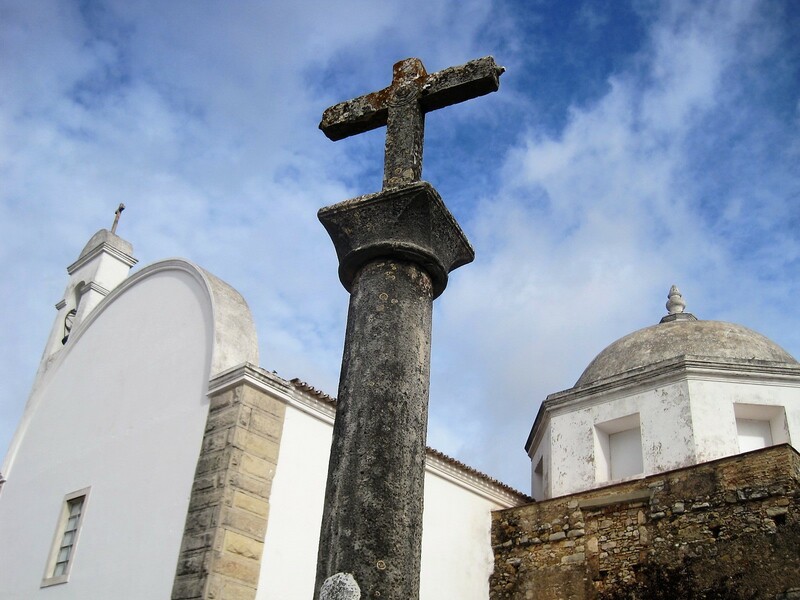 The excellent website Loulé Uncovered will guide you around Loulé better than I could ever hope to do. There you will find a map and suggestions of what you can hope to see. 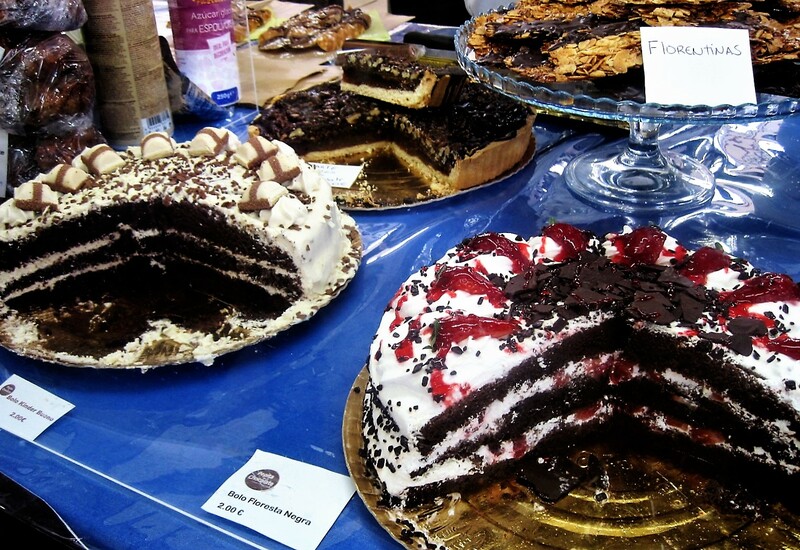 On Saturday mornings the market will be in full swing. 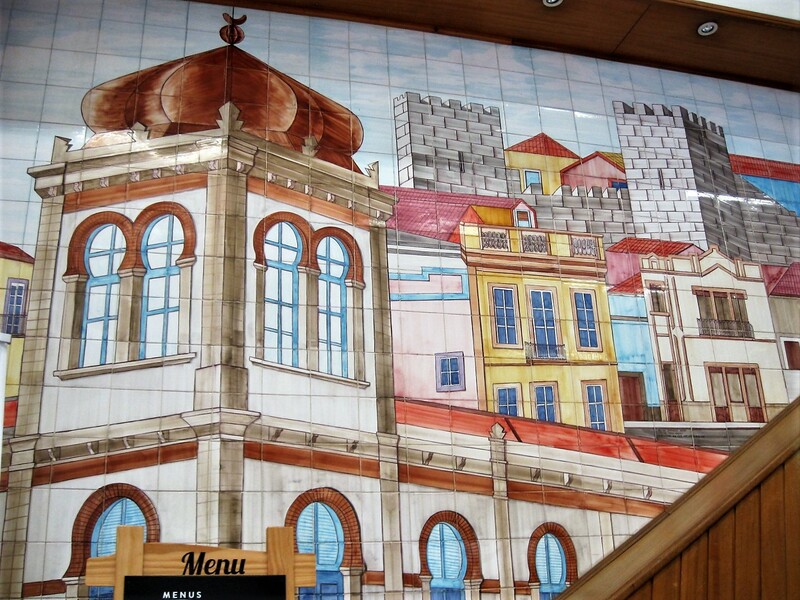 At most other times you will still be treated to the splendour of the Arabian style market hall. Poke your nose inside. The sights and smells will capture your senses. Loulé Castle dates from 13th century and still retains its imposing walls and a keep. Artisans practise their crafts in the surrounding streets. Follow them through to the Largo da Matriz and the main church of Loulé, Igreja de S. Clemente. The procession will pass by here on Festa Grande. A small garden, Jardim dos Amuados (Garden of Sulks) nestles behind the church. 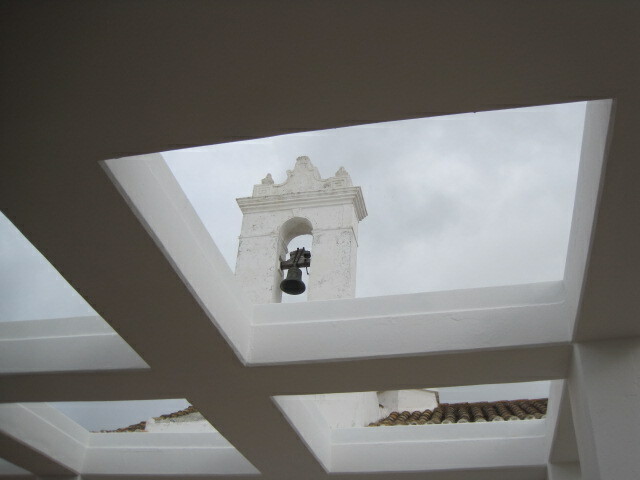 The view sweeps out across the valley and there on the hill, Nossa Senhora da Piedade. I hope that you found Loulé interesting. I was so glad I finally made it up that hill. 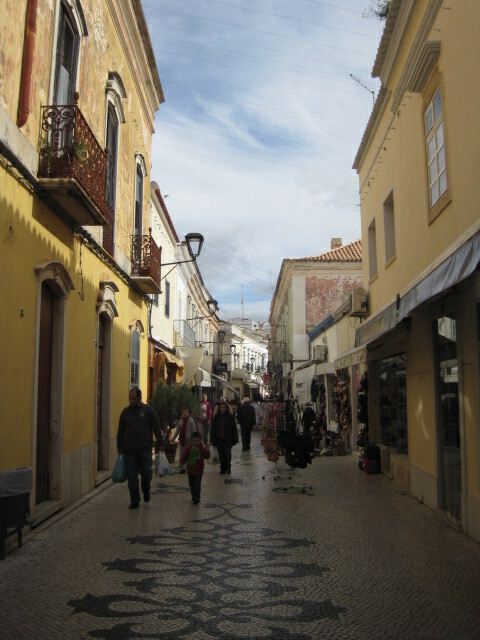 My L is for Loule has a few more details, including some lively Carnival scenes. Next week my walk will bring me nearer home. I would love it if you could join me there. How to join in with the walks? Click on the logo or my Jo’s Monday walk page for the details. Thank you so much to all my contributors. You brighten up my Mondays. Let’s get that kettle on and settle back for a good read, shall we? I asked Esther for a walking song and this is what I got! Applaud the lady! Amy has such fun on her Sunday walks. You have to join her! I’m nearly ready to head off out now. Hope you all have a wonderful week and can make time for a walk or two.